All PALISADES homes currently listed for sale in Park City as of 04/19/2019 are shown below. You can change the search criteria at any time by pressing the 'Change Search' button below. 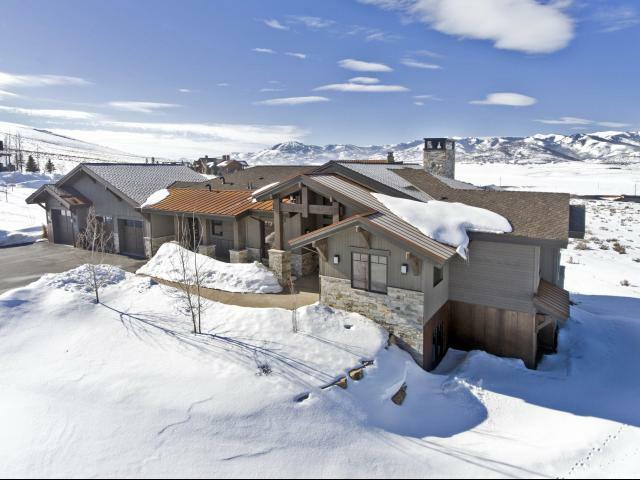 "Enjoy never to be obstructed views of the Park City Mountains in this meticulously crafted new construction home. Built with quality craftsmanship and the perfect blend of mountain traditional with modern elements, this home has it all. An open concept main level includes a master suite with his/hers closets, chef's kitchen w/ dual dishwashers, butler's pantry, laundry rm, mudroom, office, and a guest suite. The lower level walkout is an entertainer's dream that will wow you with an even better mountain view, rustic bar & glass wine room. media wall, fireplace, and space for multiple games. An exercise rm, laundry rm, bunk rm & 2 more guest suites. make this the perfect getaway for your family and friends. Don't waste time getting to the mtns, nestled in a quiet neighborhood close to the main gate, you are just 6 min to the Deer Valley Mayflower exit, 10 min to the Canyons & 12 min to Park City. A FULLY SPONSORED SOCIAL MEMBERSHIP INCLUDED ($75k value)"